The Tontine Luxe Superior Support Pillow are ideal for those sleepers who prefer luxury and great value in their bedroom. 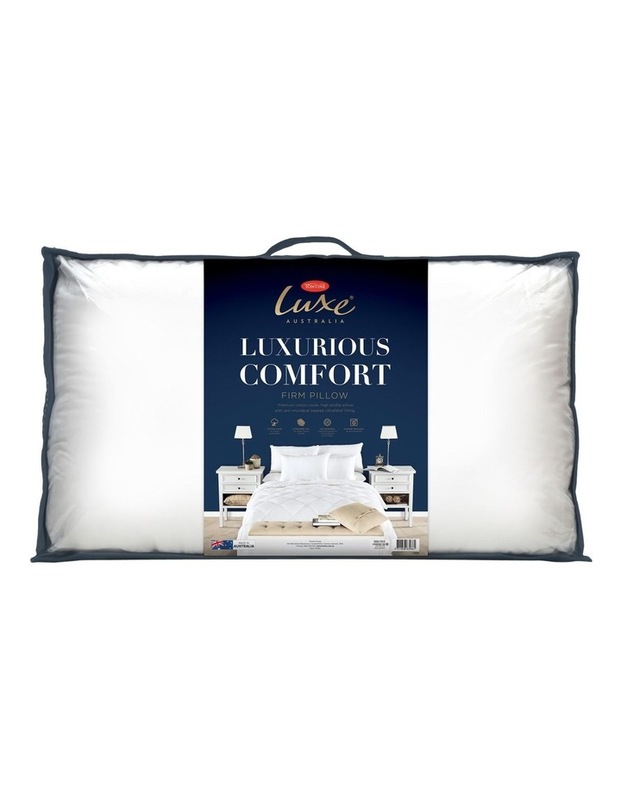 Generously filled to a high profile, suited to those who sleep on their sides or generally prefer high loft in their pillows. Featuring a waffle gusset for added neck support. Encased in a premium cotton cover for breathability and freshness. Featuring satin piping detail. Polyester fibre has built in Antimicrobial treatment inhibiting the growth of bacteria, mould and dust mites. Machine Washable for ease of care.